If I had my druthers I would be birding the East Pond of Jamaica Bay Wildlife Refuge pretty much every day from July until September. 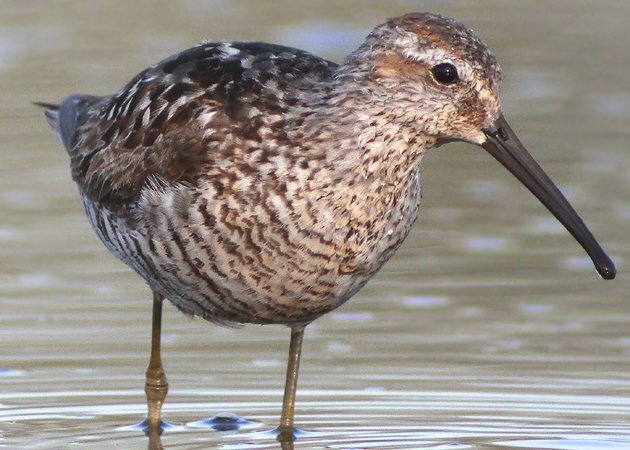 But, you know, job, family, and all the other responsibilities of being a social animal means that, at best, I get out onto the East Pond once a week to see what shorebirds are stopping over on their way to their wintering grounds. That once a week this year has been entirely on the weekends and entirely in the early morning, which is nice because very few people are out on the pond, but not so nice because so far this year high tide has not corresponded with sunrise a single time that I have been out there. 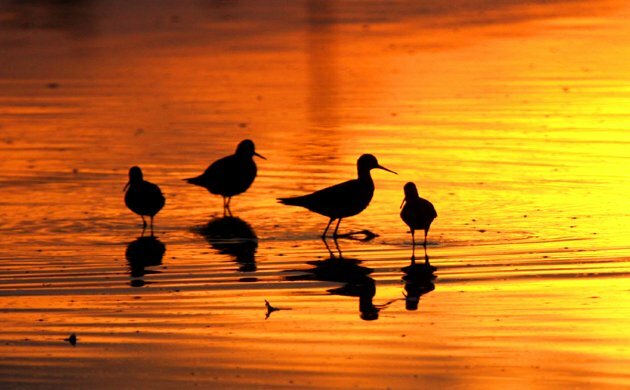 (The shorebirds tend to flock to the East Pond when the tides force them off the mudflats.) Fortunately, as the image above shows, there are some rewards to being out and about in the early morning light. Despite my visits being limited in number and scope I have still enjoyed my visits to the East Pond. 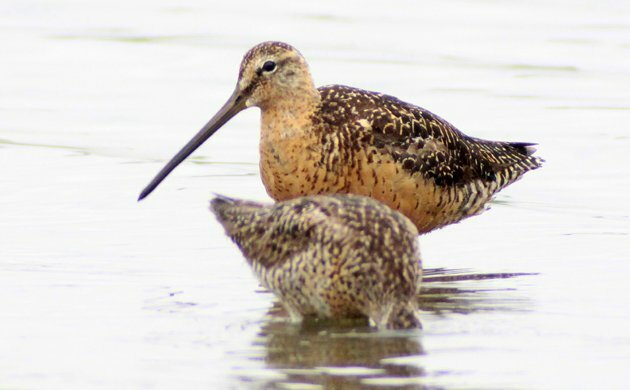 Shorebirds are shorebirds and even when a jaw-dropping rarity does not appear it is still nice to see flocks of peeps evading a Merlin or a Peregrine Falcon, the feeding strategies of different species, and the gorgeous plumage of the juveniles. 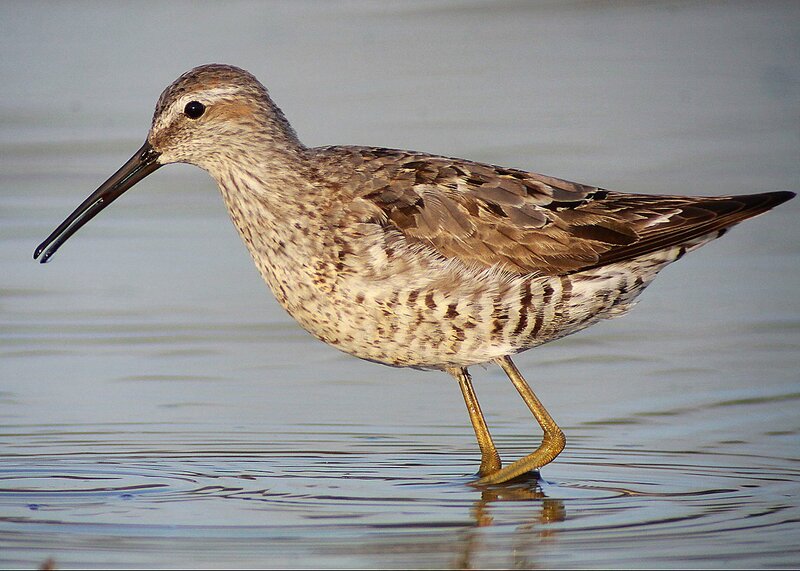 Juvenile Short-billed Dowitchers are among the most handsome of young shorebirds. Before the juveniles show up the only real reason to look at the Short-billed Dowitchers is because you are hoping to find a Long-billed Dowitcher. 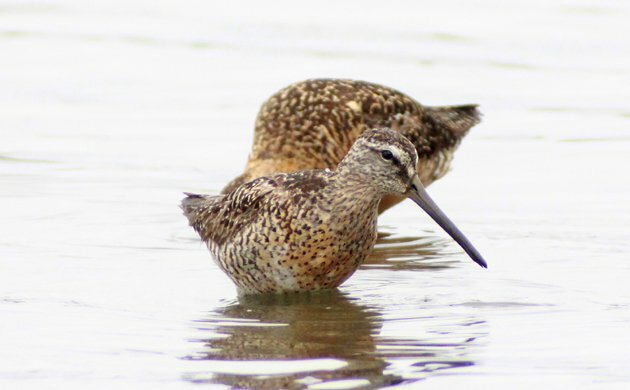 Can you tell which of the birds in the two photos above is the Long-billed Dowitcher? If you can’t figure it out you have to turn your binoculars in and give up birding. 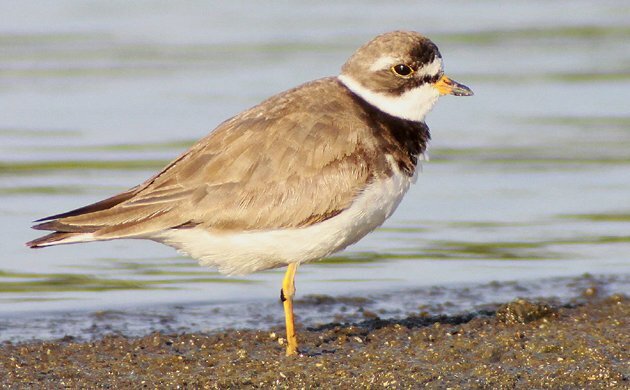 Another “fun” thing to do is to stare intently at a Semipalmated Plover for a couple of minutes and then tell other birders that you were sure that you didn’t see the webbing between its inner toes. 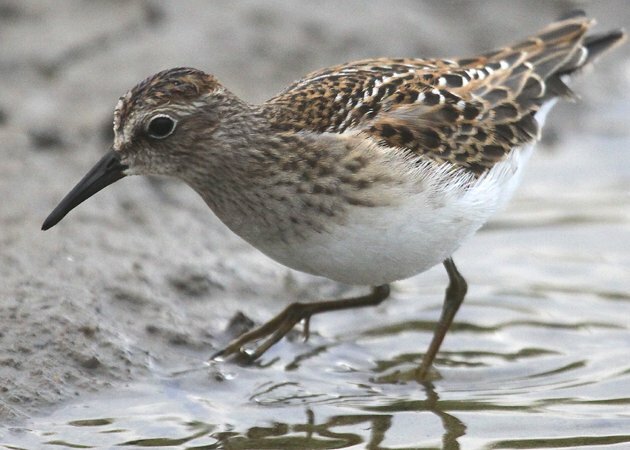 If you ever meet someone who tells you that they like looking for a rarity by sorting through frantically foraging peeps, like the Semipalmated Sandpipers above, step away from them quickly because they are either insane or stultifyingly boring. Before you know it they will be smearing themselves with their own feces or prattling on and on about remiges and feather wear. 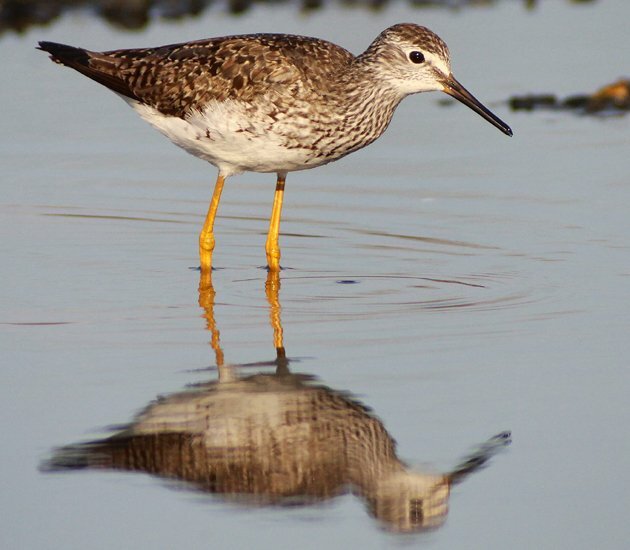 Anyone who tells you that it is difficult to tell a Lesser Yellowlegs from a Greater Yellowlegs hasn’t studied enough. That said, I might have made an embarrassing call involving those species once or twice. 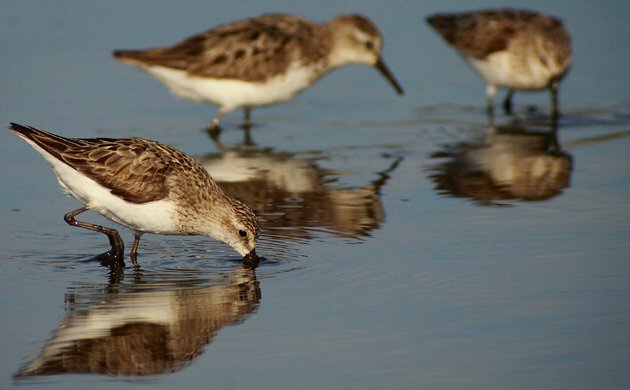 Aren’t shorebirds awesome? 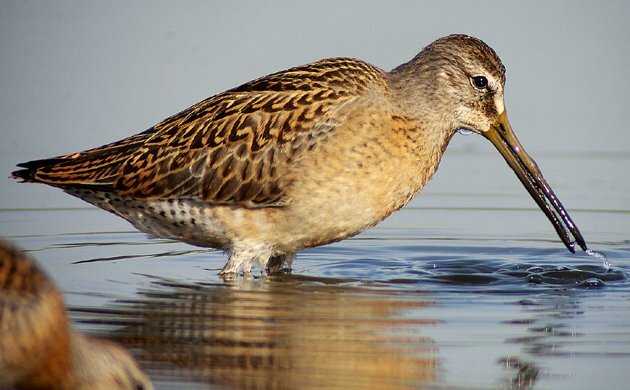 Isn’t Jamaica Bay Wildlife Refuge a great place to see them? Why haven’t you been on the East Pond yet this year? Another gorgeous juvenile bird, this one is a Least Sandpiper in horrible light just before it started to rain. @Naomi: It’s only a couple of hours away! @Meredith: It’s only a plane ride away! These are wonderful photographs! I live in Jamaica (the Caribbean, that is!!) and just returned from the conference of the Society for the Conservation & Study of Caribbean Birds in Grenada. The SCSCB just posted a press release about Whimbrels – and their situation as they pass through the Caribbean – which you might find of interest – I blogged it also here: http://petchary.wordpress.com/2013/08/18/she-did-not-die-in-vain-the-story-of-machi-the-whimbrel/ Please feel free to share! By the way, can I subscribe to your page by email? @Emma: Thanks for the info in the link. We had covered the shooting of shorebirds in the Caribbean before but hadn’t known that any change in hunting laws had happened. That’s good news! And, yes, you can subscribe via email – just hit the “subscribe” tab way up at the top of the page and you can easily start getting every 10,000 Birds post in your inbox! @Corey: If there are any Jamaica Bay rambles afoot the weeks of Xmas and New Year’s, count me in!